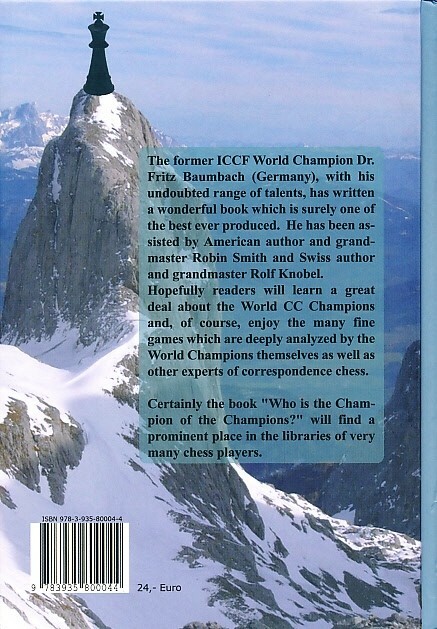 The former ICCF World Champion Dr. Fritz Baumbach (Germany), with his undoubted range of talents, has written a wonderful book which is surely one of the best ever produced. He has been assisted by American author and grandmaster Robin Smith and Swiss author and grandmaster Rolf Knobel. 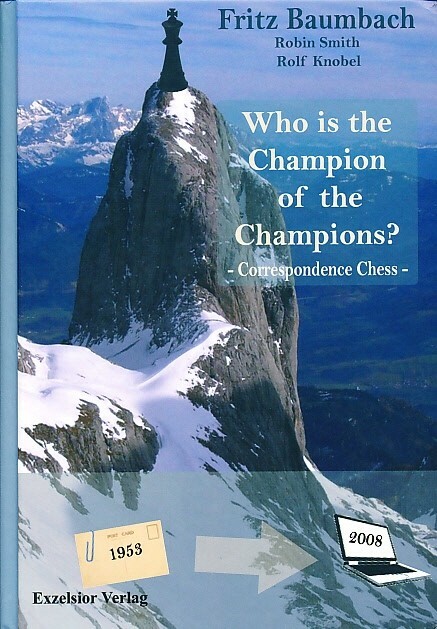 Hopefully readers will learn a great deal about the World CC Champions and, of course, enjoy the many fine games which are deeply analyzed by the World Champions themselves as well as other experts of correspondence chess. Certainly the book "Who is the Champion of the Champions?" will find a prominent place in the libraries of very many chess players. You're reviewing: Who is the Champion of the Champions?